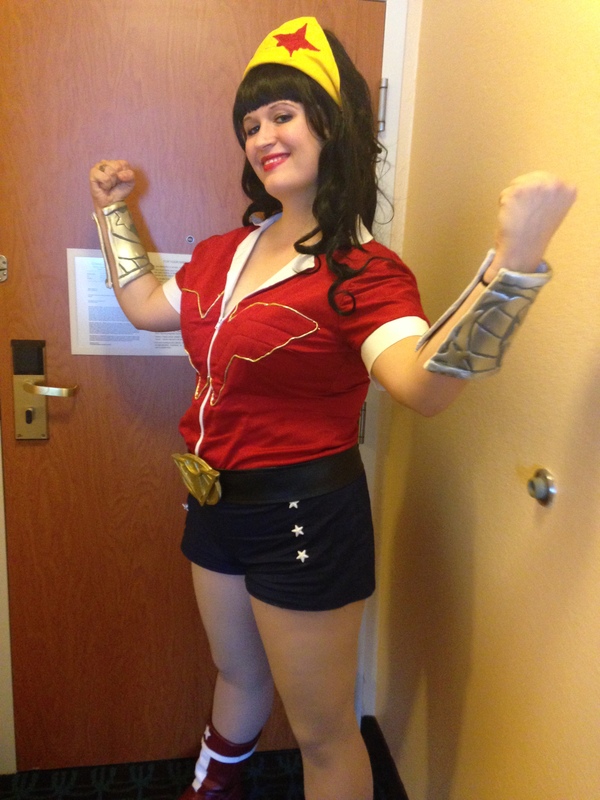 Bombshell Wonder Woman: I’ve gone over my love of Wonder Woman before. Her classic outfit is super intimidating, but I fell in love with the Bombshell designs the moment I saw them. I was pretty pleased with my first version of this costume, but I kept tweaking it until I got it to the point that I felt like it was officially “complete”. Of course, now I’m about ready to either retire or remake it and I still haven’t done a real photo shoot with it! Oops. That may have to happen during my vacation. 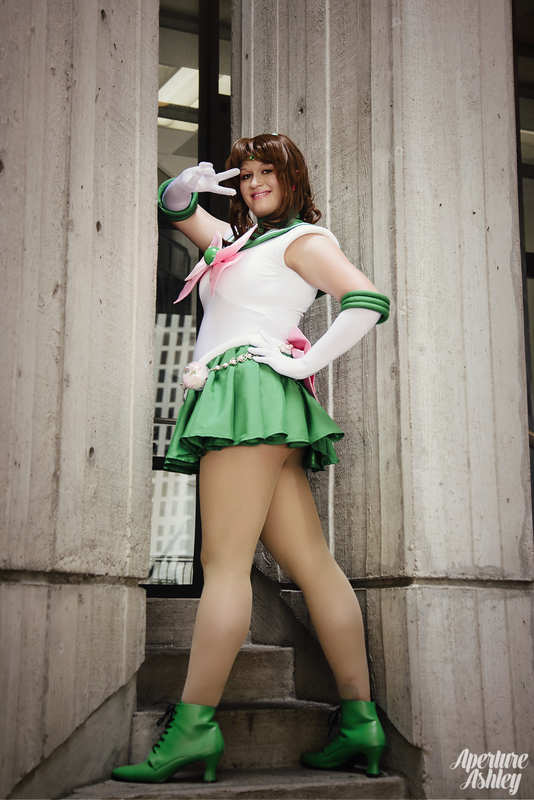 Sailor Jupiter: This has been a dream costume for years, but I didn’t feel like I was ready to tackle it until a few months ago. Getting to cosplay Jupiter was incredible. I love how strong I feel when I cosplay her. I poured a lot of time and love into this costume, and I feel like it shows. Of course, now I want to make her Super and Eternal fukus! 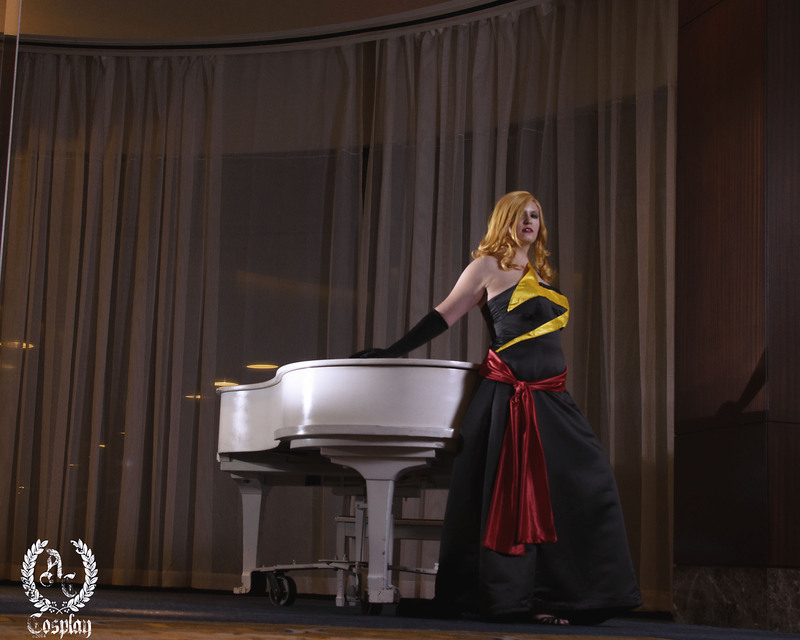 Ms. Marvel gown: After spending a lot of time reading the Ms. Marvel and Captain Marvel comics this year, I knew I wanted to make Carol’s outfits. I really enjoy cosplaying regular Ms. Marvel, but my gown variation is one of my favorite costumes to date. Hanie Mohd came up with such a gorgeous design, and I absolutely love wearing this dress. It’s very flattering and surprisingly comfortable! Kotobukiya Rogue: You all know how much I absolutely adore Rogue. This costume is really special to me, partly because I spent a lot of time upgrading it and partly because I just love Rogue. Each version of this costume got just a little better. 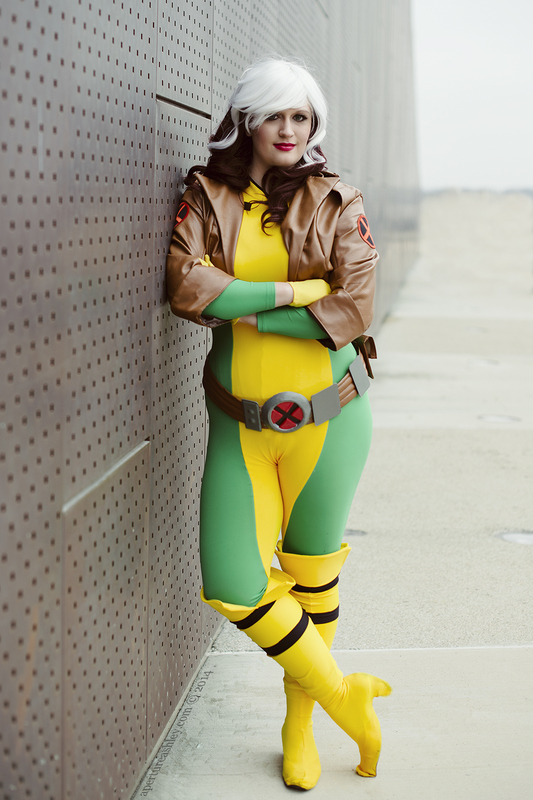 I’d still like to go back and remake the jacket one of these days, but I’ll also need to make a new wig since I chopped it up to make Marvel Now Rogue. More than likely, I’ll just make Rogue’s Shi’ar uniform! Because shiny pink goodness. Supergirl: This costume was a HUGE learning curve in regards to spandex appliques and manipulation, but I am so proud of how it turned out. I still want to make one for myself! 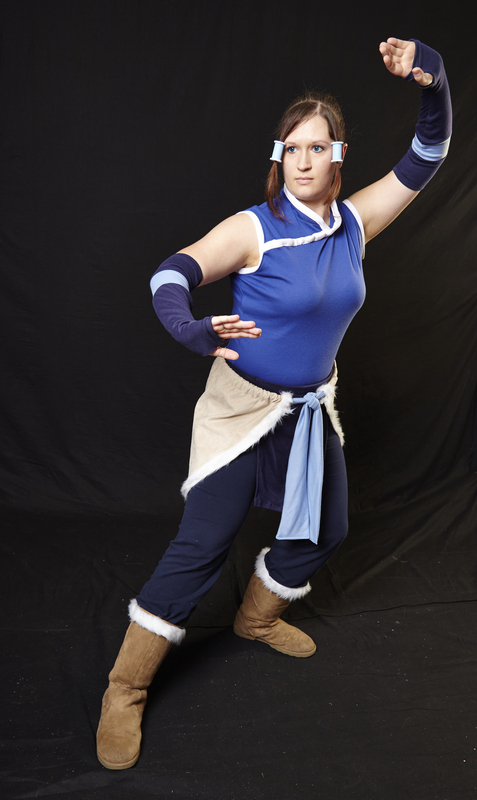 Korra: In my original post on this costume, I mentioned that I only finished this costume out of stubbornness. I got frustrated with the Korra series during season 2 and wound up only half-heartedly finishing this costume. I’m less frustrated with the series now (I REALLY need to watch seasons 3 & 4), but I still feel meh about the idea of wearing Korra again. Fluttershy: I really like this dress, but I’m just not a good Fluttershy. 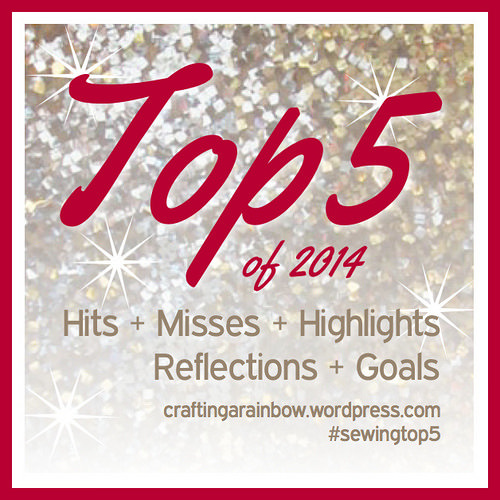 Overall, I’m pretty pleased with this year’s makes. 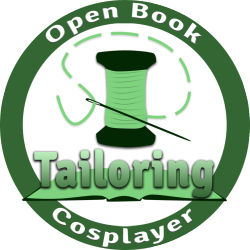 Sometime in the next few weeks, I’ll go through the things I’m not planning to wear again (and the billion wigs I ordered for costumes that never happened) and put them up for sale on Storenvy (along with a few other things ;). While I am happy with my makes this year, I’m definitely planning to cut back on personal makes for next year to allow for more commissions and more complicated project (*cough* Lulu *cough*). More on that in a future post. 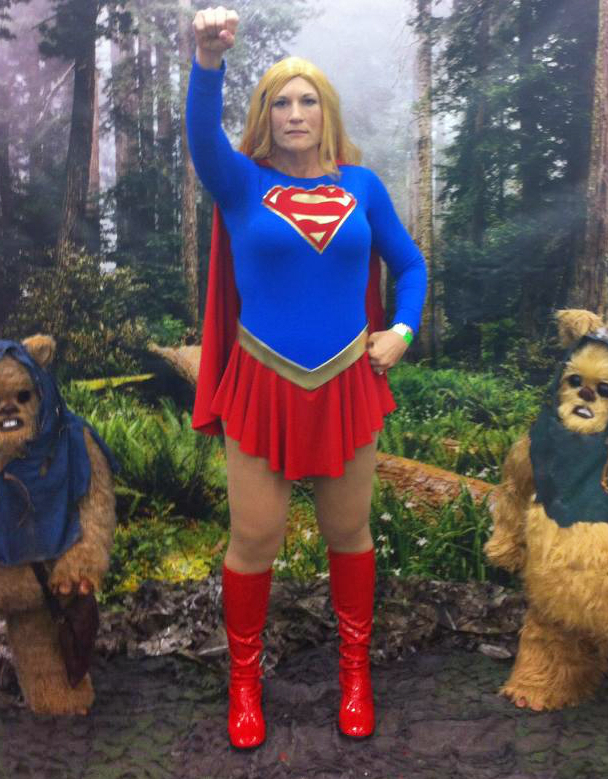 If you cosplay, what was your favorite costume from 2014? If you don’t, what were some of the coolest you saw this year? I love your Sailor Jupiter and your Rogue! I only really did two cosplays this year, but my favorite is my USO Hawkeye! I had such a blast wearing it! I think your Fluttershy is adorable!!! And I’m totally Team Jupiter with the others!!! And I really like the Ms Marvel gown too! Thanks! 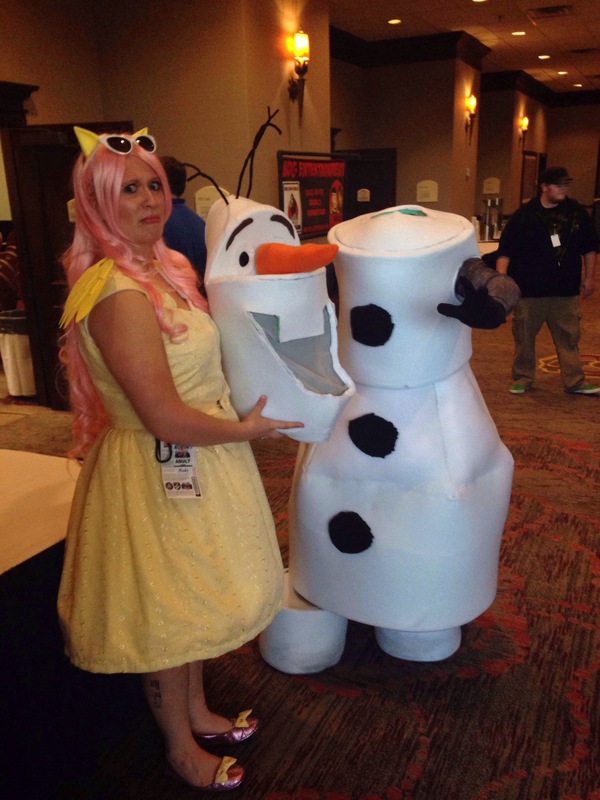 I like Fluttershy, but it’s one of those costumes I’m just not comfortable in. Happens sometimes, unfortunately. I need to find more occasions to wear the Ms. Marvel gown!